Kissed Studio: Get published at Kissed Studio! Get published at Kissed Studio! We're still here! We haven't forgotten about you all. The new store is coming along great and we're putting a lot of time and effort into it. As we get everything loaded we're finding a few layouts here and there that we don't have samples for! Would you like to have your layout featured as a sample!?! Download the appropriate file below and scrap with it. Post a comment here with a link to your posted layout. We will pick one or two of our favorites (can be any size you normally scrap) and your layout will be featured at Kissed Studio! We'll have a few more of these over the next couple of weeks, so keep your eyes peeled! We can't wait to see what you do with this template! As always each format comes in 12x12, 10x8 and 8.5x11 sizes. Something for everyone! We have NO idea why Blogger is messing up all of our page elements. So please excuse our very plain looking site today! We'll be moving to our new permanent blog soon. WOW, your design of this template is just too cool. Love the oval, in oval effect & the smaller square on the top. To allow for multiple photos, embellishments, the offset of the two square groupings add dimension & uniqueness all at the same time. So thanks for the wonderful template. I really miss your newsletter. Can't wait until your store opens. TFS. I'm so glad the two of you are still alive and active; love this site and cant wait for you to open your store! Oh! I scrapped with T0006, but I haven't submitted a link. Here it is! YAY!!!! It's soooo good to read something from you, and see the template too! WOO HOO!!! Thanks again for the template and update! 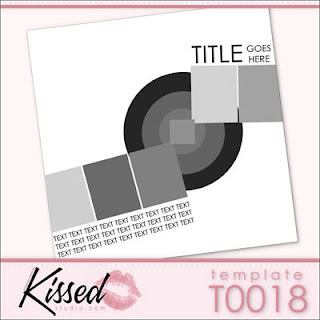 Love these templates! Thanks so much for sharing. Here's my layout done with your newest template! I had so much fun using it!!! Glad to see your still around. Thanks for the template. Looking forward to your store!! Sorry to hear about blogger...but nice to hear that I am not the only one things are happening to. Boy, it's been frustrating with missing images, missing items in the sidebar, missing comments options, no updates! I'm getting totally frustrated. Thanks for a wonderful template. I can't wait to use it. I love your template...I'm fairly new at digital scrapbooking. Here is my layout! Thanks for the terrific template! Thanks for another great FF template! Very chic template! Thank you.